get you in the shape you’ve always dreamed, and feel even better. Whether it’s your home, local park, or the gym down the street, Elin’s team will come to you for training sessions. First, you’ll meet with your personal trainer to determine your current level of fitness. Your personal trainer will then create a custom workout schedule to help reach your goals. During your training sessions, your trainer will not only guide you through a workout but will also educate you on exercise, form, technique so that you get the most out of each session. 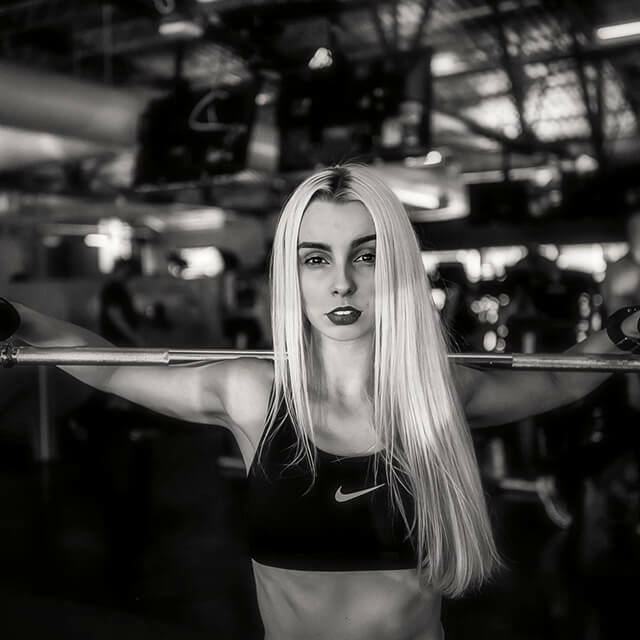 The founder of ELIN Personal Training Redefined, Elin Kanchev is a Certified Personal Trainer through the National Academy of Sports Medicine. With over 20 years of experience, Elin is dedicated to helping his clients achieve and maintain their fitness goals through his proven 4 Seasons Training Method. In addition, Elin is a 2004 Bulgarian National Karate Champion, a 2017 WPA/IPE Summer Show of Strength Overall Bodybuilding Champion, Classic Physique Champion, 2017 NPC Capitol Grand Prix Bodybuilding Champion and Winner of Best Performance in Show. He is has been NASM certified as a personal trainer, behavior change specialist, fitness nutrition specialist, corrective exercise specialist, and in Fall 2018, will be certified as a NASM Master Trainer. 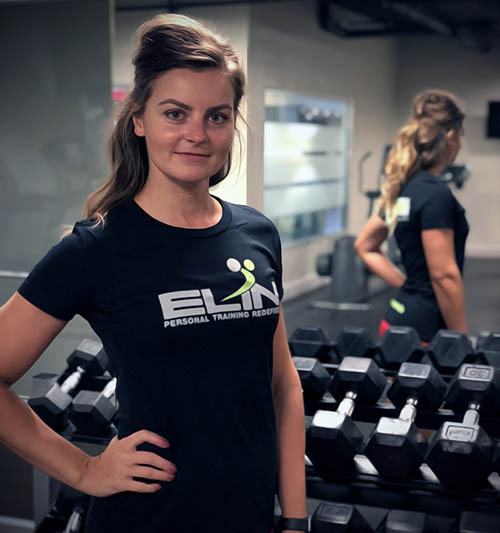 What does Elin love most about being a personal trainer? Also hailing from Bulgaria, Kris is a Certified Personal Trainer and Corrective Exercise Specialist through the National Academy of Sports Medicine. 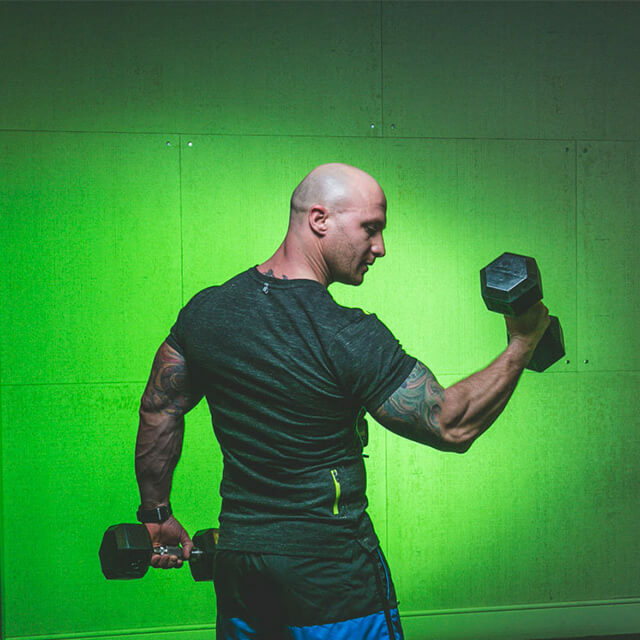 Kris is passionate about teaching his clients that fitness is part of an overall healthy lifestyle. 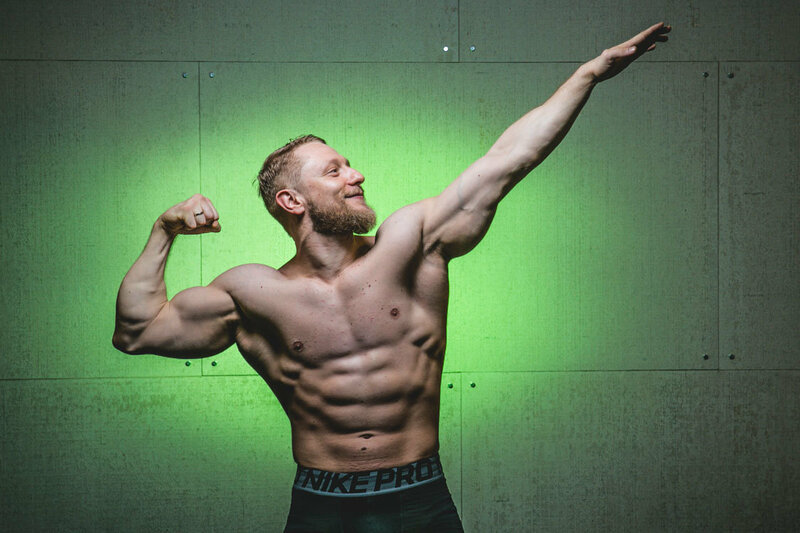 Kris specializes in recovery and injury prevention, core stabilization, bodybuilding, fat loss, strength and conditioning, MMA/wrestling training, and event-specific personal training. His favorite thing about being an ELIN™ trainer? Before Viktoria became a Certified Personal Trainer, she participated in competitive ballroom dance and won many international competitions, including Washington Dance-O-Rama 2016. This love of dance influences Viktoria’s current training techniques. As a personal trainer, she specializes in choreography and movement, prenatal and postnatal training, and women’s personal training. Her favorite thing about being an ELIN™ trainer? As a kid growing up in Serbia, Aleksandar played every sport his small town had to offer. 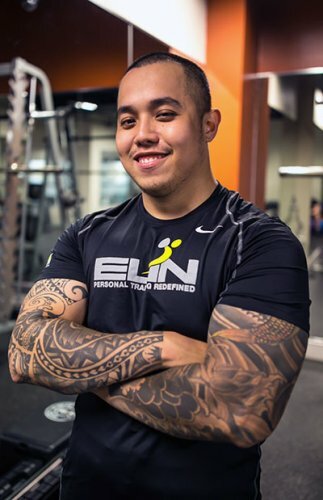 His love of sports translated into a career as a Certified Personal Trainer. 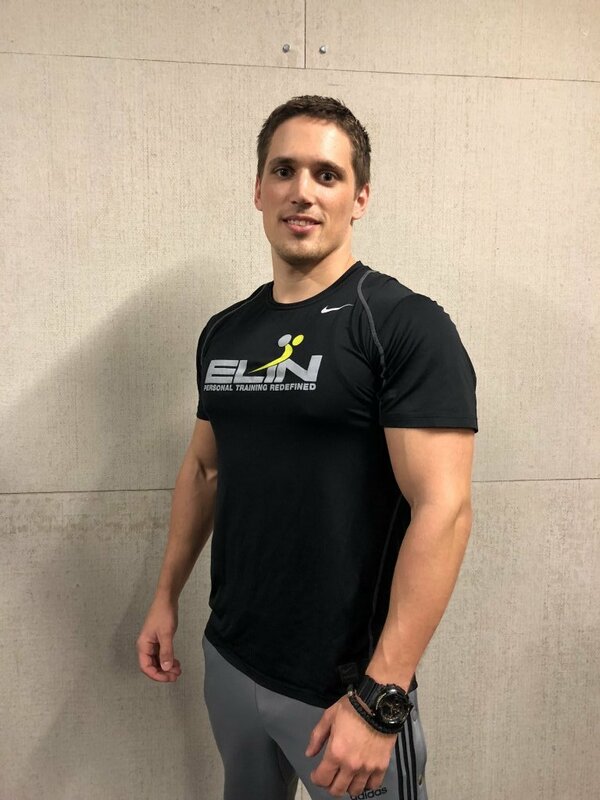 As a trainer, Aleksandar specializes in lifestyle change and improvement, motivation, bodybuilding, hypertrophy training, fat loss, strength, and conditioning. He loves being a personal trainer as he has the ability to motivate and encourage his clients to make better lifestyle choices. He enjoys training people of all fitness levels and ages. As long as people are willing to learn he loves teaching. Tyler was born and grew up in Saigon, Vietnam. He has been involved in JKA Shotokan Karate since he was 11 years old and received his 1st degree black belt. He moved to America at the age of 17 and trained Kyokushin karate, as well as weight lifting. He is super excited about being a part of ELIN’s team, because this is a team where everybody walks the walk, not only talks the talk. Zuzana Matulakova is a Certified Personal Trainer through ACE (American Council on Exercise). Growing up in Slovakia, she participated in various sport activities. “Ever since I first started working out, it became a passion. I knew this is something I am always going to pursue and explore in one way or another. I took on different athletic endeavors, I experimented with all kinds of different sports, workouts and diet plans. I am constantly expanding my knowledge and experience through continuous education and hands on practice during our team meetings.